The aura doesn’t diminish and the role of Sabrina Fairchild will be an all time favourite character of mine. Surprisingly, this was the first Humphrey Bogart movie I saw. Well, the well-known films of his were all before this movie. 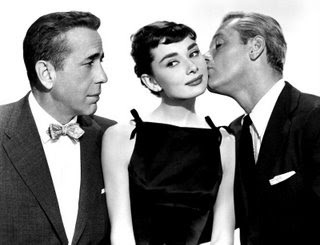 Audrey Hepburn overnight became one of my favourite actress is because of this movie. The role of Sabrina has such innocence that one would fall in love with her immediately. The story goes this way as narrated by Sabrina. 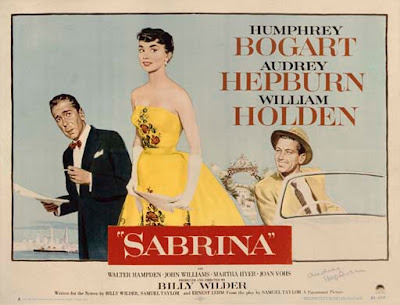 Sabrina, since childhood was infatuated with David (played by William Holden). He hardly notices her, but still cannot keep an eye off him. When things hardly seem to move, she is sent to Paris to learn cookery so that she takes the place of her mom as a cook in the estate. It is in Paris, she undergoes a lot of changes intellectually, and when she is back to Long Island, she returns as a gorgeous lady. 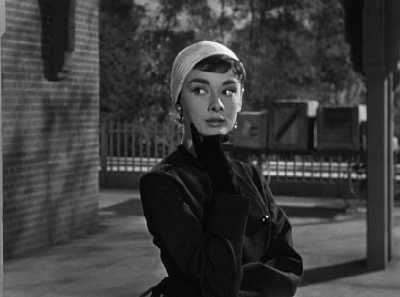 One scene that attracts is when Sabrina, while she waits for a cab, is noticed by David and offers her to give a lift without realizing she was Sabrina, the daughter of the chauffeur. Hello…. I am fine… How are you? I mean who are you? David replies…. Now all this time, Sabrina was warned that she was trying to reach the moon, but after her transformation, she believed the moon was trying to reach her. The rich and poor status quo comes in between and this is when Linus (Humphrey Bogart) brother of David steps in to resolve it. Rest is something; I would love the movie to narrate because there are some of the best dialogues and scenes reserved for Sabrina and Linus. Linus Larrabee: [while slow dancing with Sabrina] How do you say in French my sister has a yellow pencil? Sabrina Fairchild: Ma soeur a un crayon jaune. Linus Larrabee: How do you say my brother has a lovely girl? Sabrina Fairchild: Mon frere a une gentille petite amie. Linus Larrabee: And how do you say I wish I were my brother? 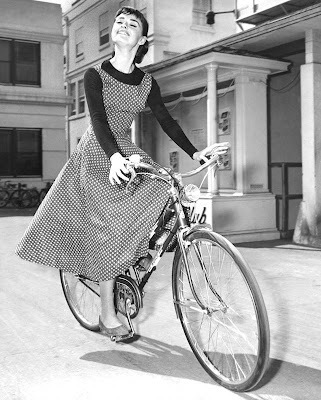 This was my first movie of Audrey Hepburn. Cary Grant refused the role and Bogie was a late replacement for him. This movie was later made in 1995 with the same name, starring Harrison Ford playing Linus, Julia Ormond playing Sabrina and Greg Kinnear playing David. This is not all, 1994 Bollywood movie “Yeh Dillagi” was inspired by the 1954 movie. Scene to scene one can see the resemblance. Kajol playing the Sabrina while Saif Ali khan plays David and Akshay Kumar playing Linus. 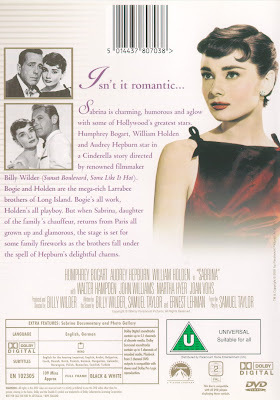 Directed by Billy Wilder, this 1954 movie earned Audrey Hepburn an Oscar nomination for best actress. Her haircut became a sensation. This movie managed to bag the Best Costume design (B/W) Oscar nevertheless.